With a commitment to pioneering the CBD Evolution (as they call it), Plus CBD Oil is one of the industry’s shining lights. Leading the way with a responsible and innovative approach, they continue to create high-quality hemp-enriched products. Browse below to discover more. 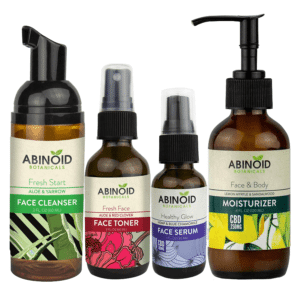 With bases in California and Nevada, Plus CBD Oil has positioned itself as one of the leading CBD brands in the United States. A commitment to quality, potency, and safety ensures you know where you stand when you see the Plus CBD Oil logo. They also coined the phrase “the CBD Evolution,” because the health benefits of hemp continue to evolve thanks to recent and ongoing research—a factor that underpins their excellent product range. Why Choose Plus CBD Oil CBD Products? With the inexorable rise in the popularity of CBD, there are now hundreds of brands competing for a place in the market. This can make it incredibly difficult to find a trustworthy, high-quality CBD product. Thankfully, brands like Plus CBD Oil do everything they can to keep the quality of their products extremely high, no matter how tough the competition. Plus CBD Oil follows their products from seed to shelf, ensuring that only the very best hemp oil is used and thoroughly tested for potency. The company focuses on offering high-grade CBD in many forms, thus accommodating the needs of their customers to the best of their ability. This extends to the extremely popular Cannabidiol Supplement Capsules, which offer the quickest and surest way for you to receive a steady serving of 25 milligrams of CBD per capsule. 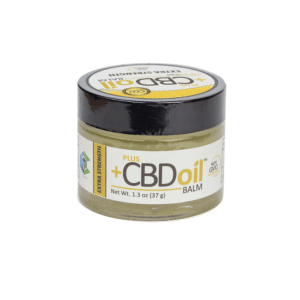 Plus CBD Oil also offers a high-quality Hemp Salve with 50 milligrams of CBD and an Extra Strength Hemp Balm with 100 milligrams of CBD to pamper your skin with the finest natural ingredients, including hemp oil. 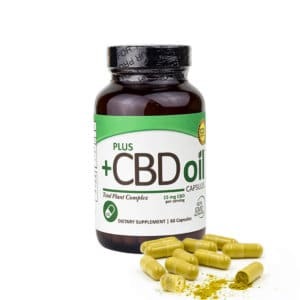 Why Order Plus CBD Oil Online? High-grade CBD products are becoming more and more popular, but why should you buy your next Plus CBD Oil capsules or salve online? It’s simple: we’ve created a carefully curated web shop, designed to offer only the very best quality and selection of CBD products available today. And we’ve worked hard to make sure the entire process is as straightforward as possible. Browse from anywhere and buy at any time with Healthy Hemp Oil. Remember: If you’re pregnant, lactating, or suffering from a serious illness, ask your physician before taking any capsules or supplements, applying topical oils or balms, or changing your diet in any significant way. Also, remember to keep your Plus CBD Oil CBD product in a dry and cool place, out of the reach of children and pets. Our goal here at Healthy Hemp Oil is to become the single most consumer-focused provider of CBD products available online. As such, we continue to research and share the latest objective information (including recent scientific discoveries) regarding CBD and its potential benefits. 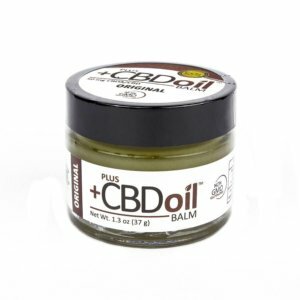 This attention to detail also extends to our selection of CBD supplements and topicals, such as the Plus CBD Oil CBD Extra Strength Balm. It’s important to us that you feel satisfied with your next CBD purchase, and if you’re ever unsure about anything related to CBD, our friendly and knowledgeable support staff are only ever a click away. Check out the Plus CBD Oil products for sale on this page, or get in touch if you have any questions.